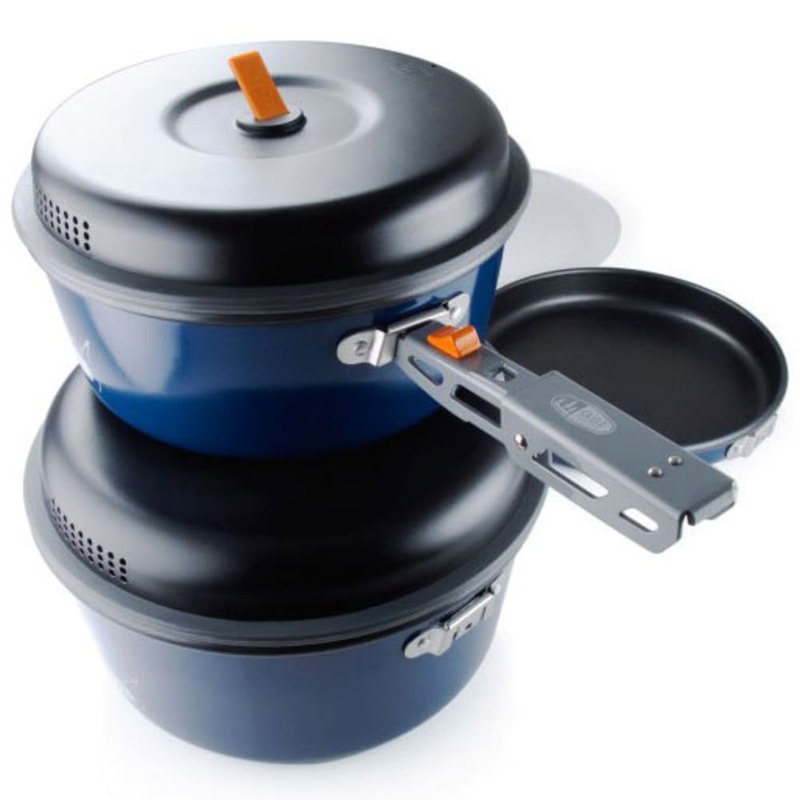 Ideal for car camping—but light enough to take backpacking if you just can't survive the backcountry without a gourmet meal or two—the GSI Bugaboo Base Camper Medium cook set has everything you need for a home cooked meal in the wilderness. Packed dimensions: 9.1 x 9.1 x 5.4 in. Weighs 2 lb. 9.6 oz. Weight: 2 lb. 9.6 oz.